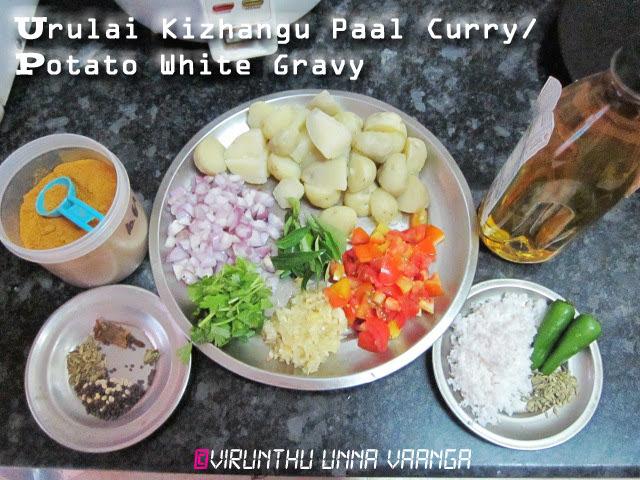 Hello dear friends, today’s post for Tamizhar Samayal Tuesday (TST)event, which is initiated by Nalini Suresh Akka who writes Nalini's Kitchen. 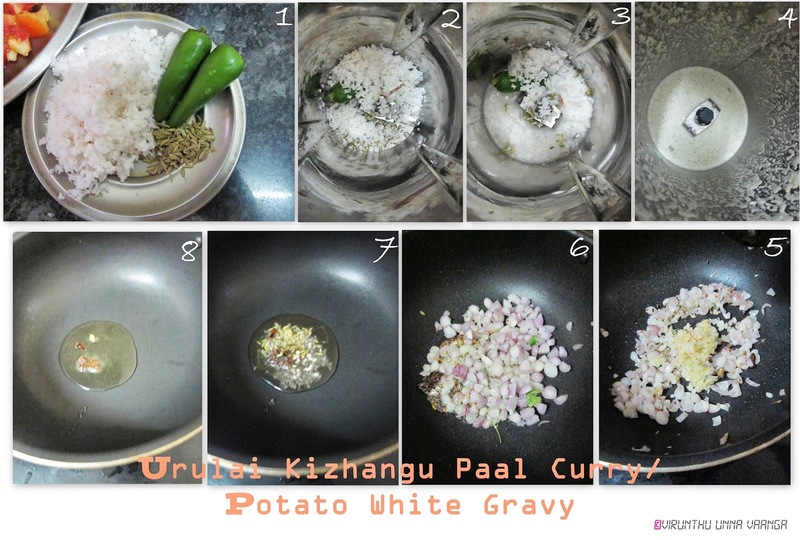 We get chance to showcase our traditional Tamil Cuisine here… Thank u Nalini akka for the great opportunity. 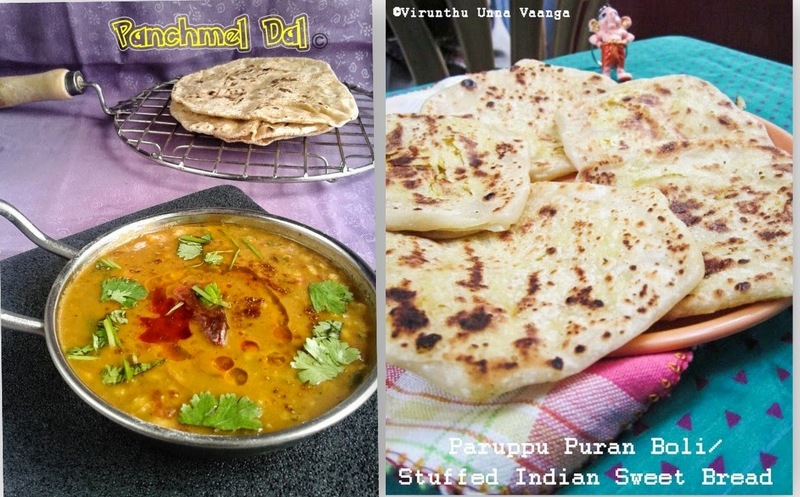 So you can see our Tamil Cuisine foods compulsory in our blog on every 2nd and 4th Tuesday of every month. 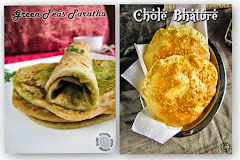 I love Tamil Cuisine foods always especially the breakfast foods like paniyaram, puttu, venpongal, dosa and etc. 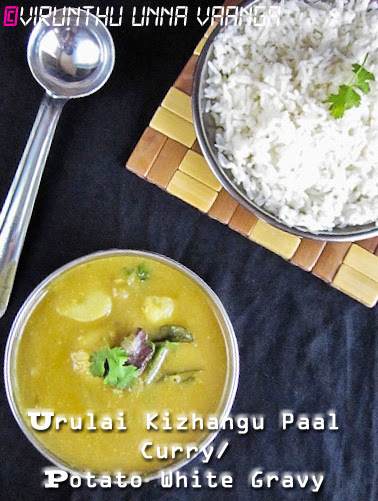 I choose urulai kizhangu paal curry for the week, as I learn it from my grandma she never forgot to offer the food to me with crispy dosa, as I love it a lot. So I tried to do the paal curry with my hands. After tasting it my grandma itself praised me that it too goodJ, what else I need, I satisfied her hunger pangs with the delicious curry with rice. Grind grated coconut, green chillies and fennel seeds with little water and blend it well into milk consistency. Heat oil in a pan, add cinnamon, cloves, cardamom splutter it for 20 seconds, and then add fennel seeds and mustard seeds wait for till splutter. Add shallots sauté it for one minute then add ginger garlic paste sauté it well till raw smell goes. Now add curry leaves and tomatoes and sauté it till the tomato gets mushy. 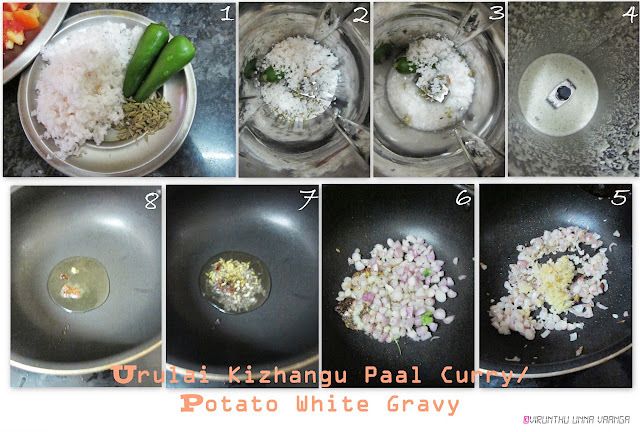 Add boiled potatoes with it and add coriander powder fry it for 5 minutes. Now add the ground mixture with enough water and add salt and allow to boil, the keep the flame on low and cover it with lid. Switch off the flame when its get thick and garnish with coriander leaves. 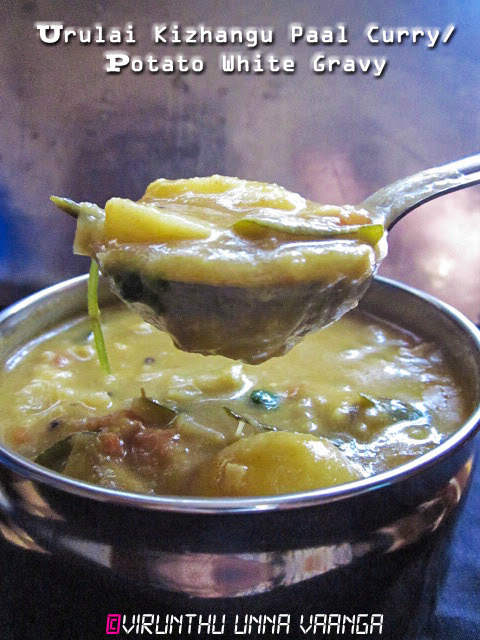 Serve it hot with hot rice/idli/dosa. You can add thin coconut milk instead of water. Add green peas to get rich flavour. 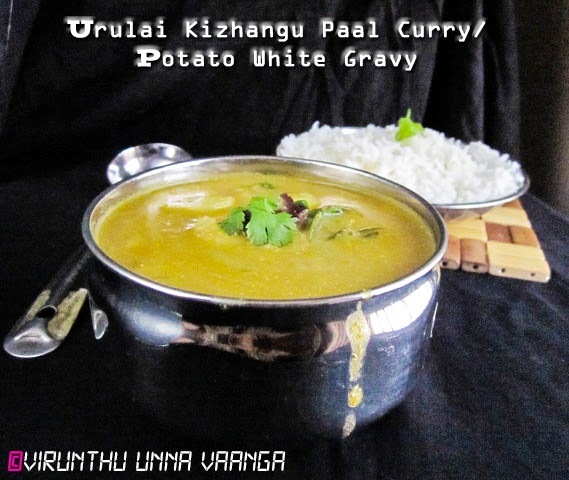 URULAI KIZHANGU (POTATO) PAAL CURRY!!! love potatoes in any form so this is very inviting. tempting viji! poori kuda supera irukum! Inviting curry .. 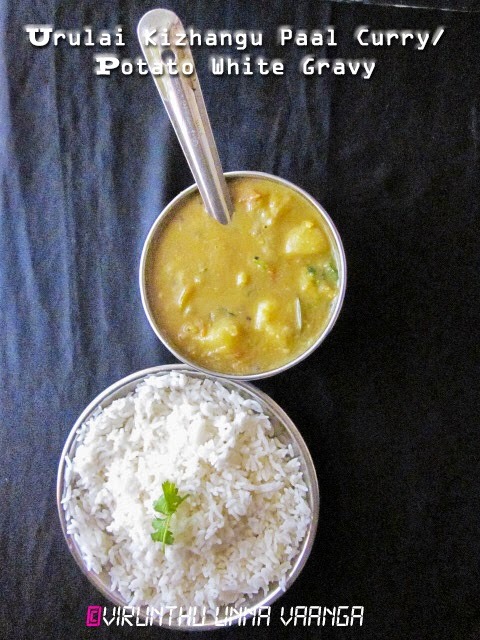 Perfect for a bowl of hot rice or rotis! delicious curry, looks very yummy. 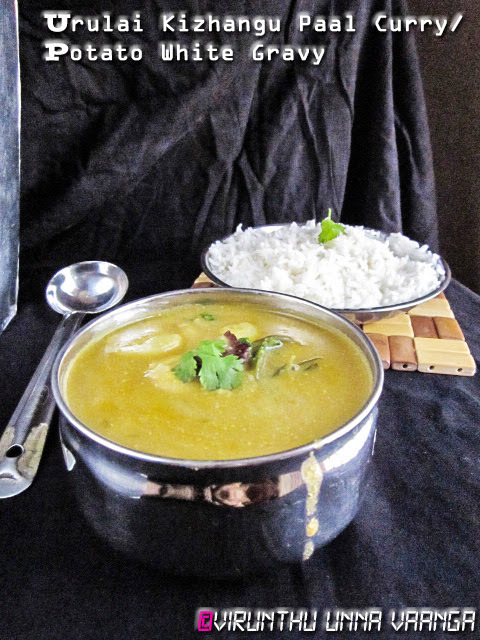 Fingerlicking curry, can start my day with this delicious paal cury. 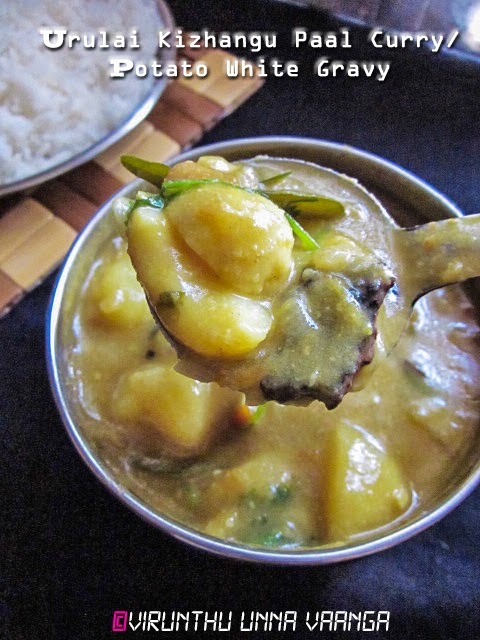 Delicious curry dear, should taste good with idlis and dosas..
even though i dont like aloo this looks super awesome n inviting me dear.. 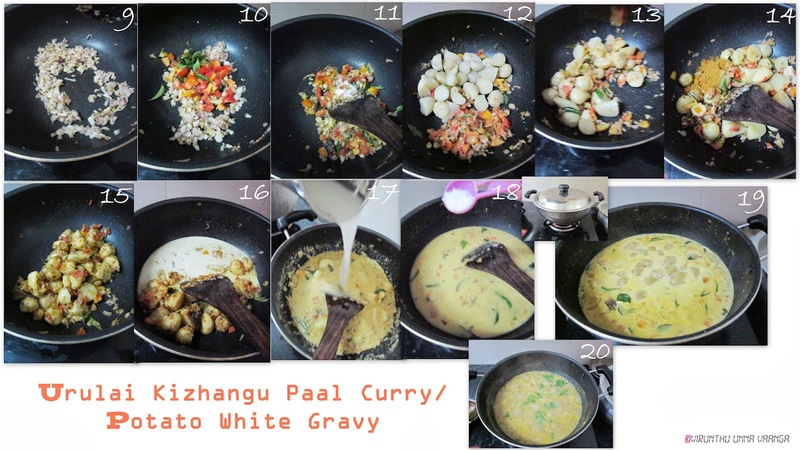 Very different potato curry, looks yummy!